Yesterday I had the pleasure of interviewing local filmmaker Coquie Hughes for an upcoming article in my column with CU-Blogfidential on independent filmmaking in Chicago. Coquie is a truly inspirational filmmaker because she’s the ultimate independent, home-grown, grassroots artist. She’s an African American lesbian mother who had a confrontation with a friend of hers who one day told her that now that she’s a mother, she needs to stop being a lesbian. 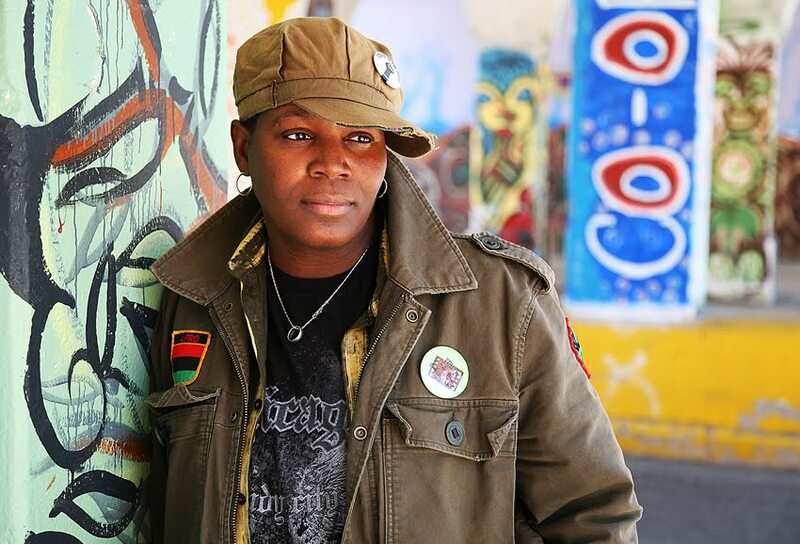 Angered by the audacity of this woman, she decided to make a documentary film about the social issues of being an African American lesbian mother, and started interviewing children and mothers in the community to explore their opinions and share their stories. For these filmmaker interviews I like to take photos of my subjects, so Coquie and I went outside for an impromptu photo shoot. I got to take advantage of the murals on the wall across from my building- which I’ve been looking forward to shooting since I moved in a month ago. After spending 30 seconds with the spunky fresh Ms. Hughes, I knew we HAD to take her photo in this underpass. 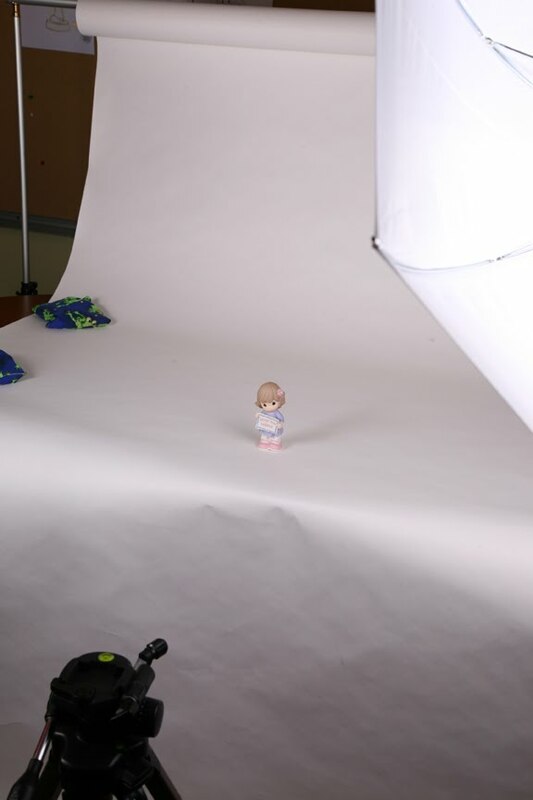 Today I spent the day at the creative headquarters for Precious Moments, taking product photos for their upcoming Summer catalog collection. It’s been a little while since I’ve taken product shots- I’m so used to taking portraits and headshots and there’s a big difference between live models and porcelain ones. I only said “tilt your chin down for me” out loud once. I got no response from the porcelain figurine. No one heard me, so everything’s okay. It was a lot of fun, though, and I’m looking forward to going back there for some pick-up shots in the next couple weeks. 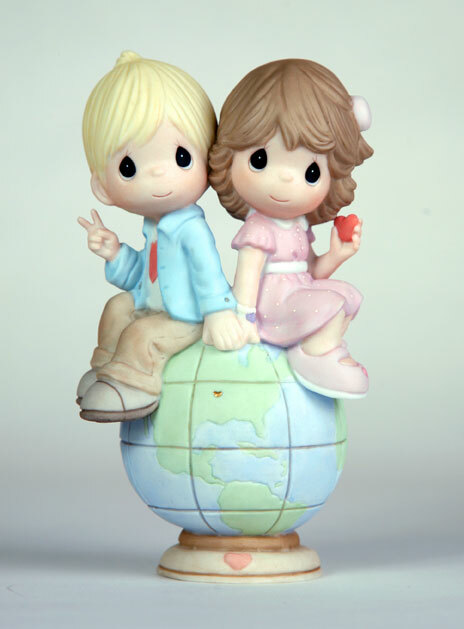 I especially enjoyed the large clusters of Precious Moments figurines, plush dolls and ornaments on nearly every cubicle endcap, filing cabinet and spare table space in the office. Every time you turned a corner, there was a grouping of large-eyed porcelain dolls to greet you with a smile. I found it adorable, but I’m sure some employees might start to get creeped out after a while. A very special thanks goes to Amy for putting the shoot together and for showing me her basket filled with broken doll heads. I learned that when a prototype of a new figurine is rejected, it needs to be destroyed… so the office holds figurine smashing parties. Amy quite enjoys those.